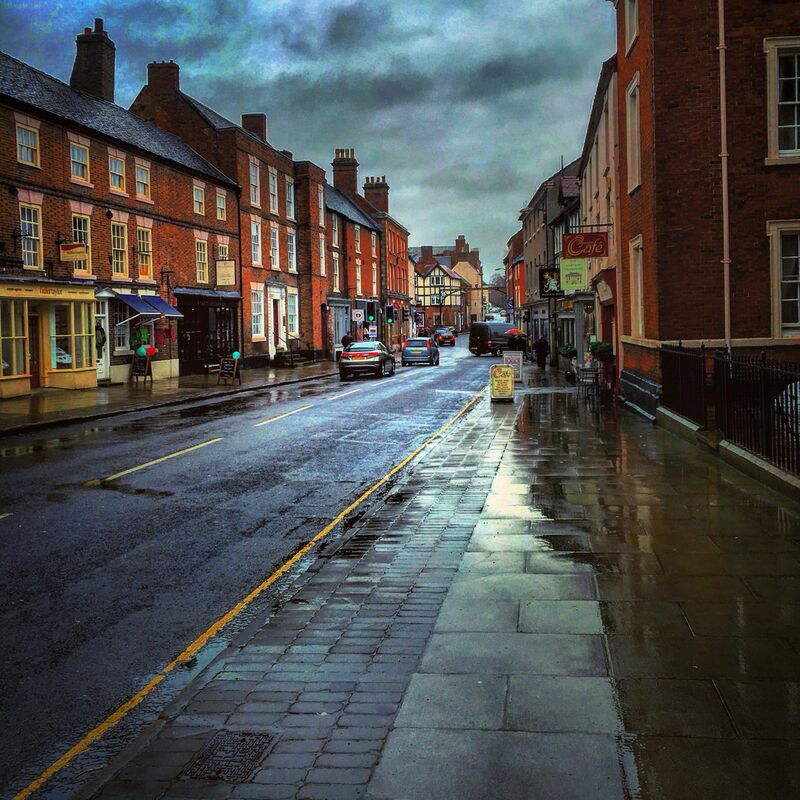 I discovered Ashbourne in Derbyshire through taking detours back to Manchester when the A40 or M6 had been jammed with traffic. As I passed through, I noticed the town seemed rather nice and I made a mental note to return here to visit. Getting to Ashbourne from Manchester takes about an hour and a half to drive. There are several ways to get there and the route I took was the M60, M62, M6, A50, B5030, B5032 and A52. I think there are better ways to get there, that’s for sure, and Neil was getting queasy on the B road part of the journey. We parked up in Sainbury’s car park and you have to pay to park for a maximum of 2 hours, but you can get the parking fee refunded in the supermarket. 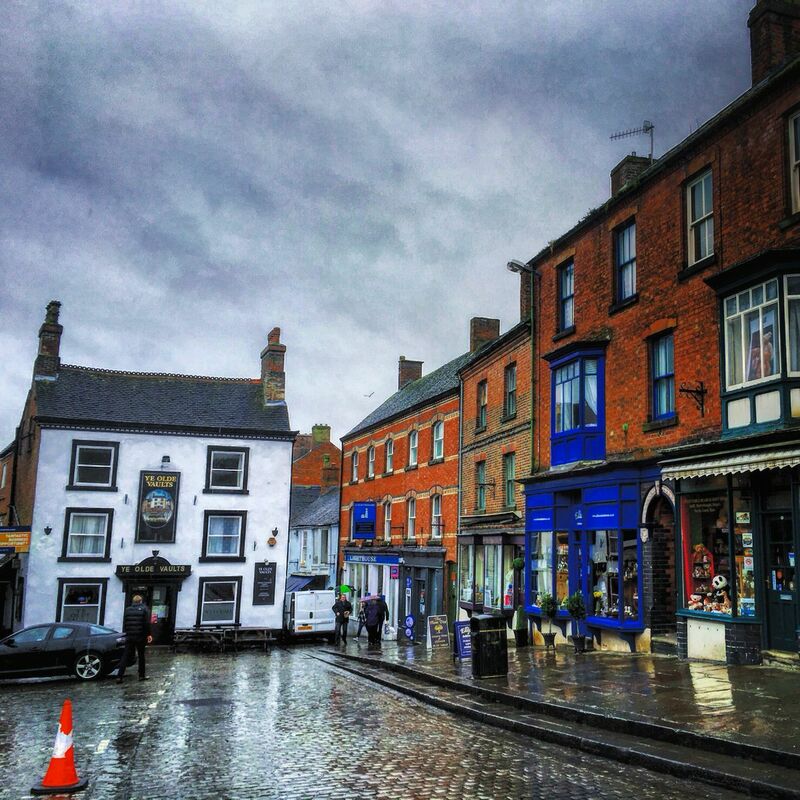 It was a grey and drizzly kind of day - not the best to go visiting towns, to be honest with you. After parking up, the first order of our day was to get food. As we didn’t want a pub lunch, we found Billy’s fish and chip shop in the centre of town and thankfully they had some indoor tables so we didn’t have to eat them out in the rain. The fish and chips were nice which is always a bonus. Ashbourne is a classy kind of town. Not only does it have a Sainbury’s and an M&S supermarket in a nearby retail park, but it rocks the holy grail of middle class supermarkets – a Waitrose. It also has an Edinburgh Woollen Mill, which to me is always an indicator of a tourist destination. It’s definitely upmarket with lots of lovely little independent shops too. 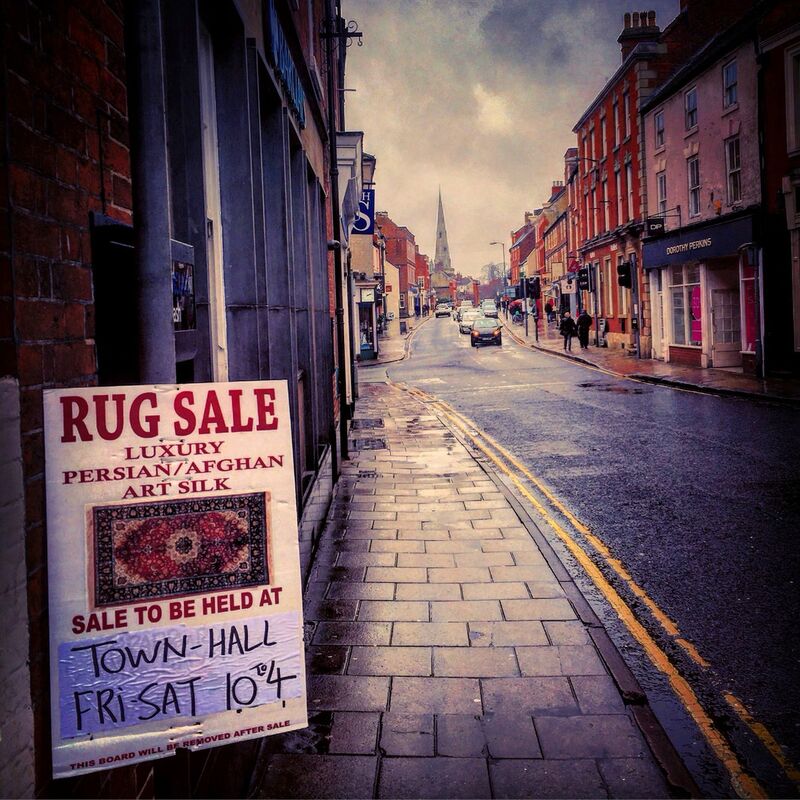 Ashbourne also prides itself on being a fair trade town which is always good thing. If you like antiques and art you will find plenty of shops to your taste. In one antique shop window there was a pair of glorious, white life sized greyhounds – they were so lifelike and no doubt cost a small fortune. There is both an indoor and outdoor market in Ashbourne. The outdoor market wasn’t that big or exciting, but I did like the upholstery stall where they were selling footstools, which could be customised to your own taste. The small indoor market was hosting a craft day and it was very busy as the rain was driving people inside. 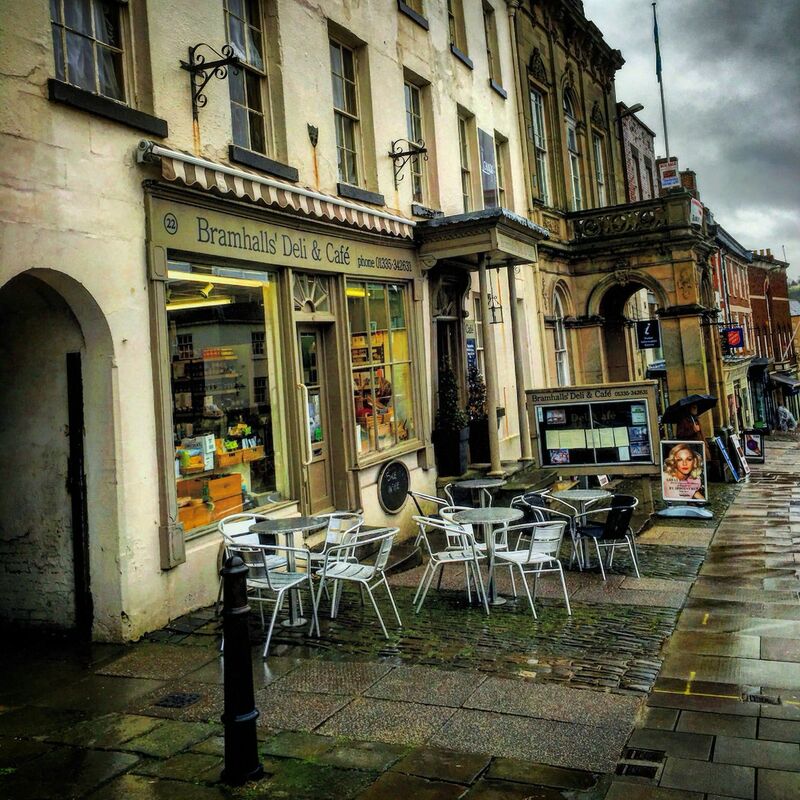 Architecturally, there is a country market town vibe going on and the sort of place you could spend a weekend soaking in the relaxing calm. The gallows sign “Green Man and Black’s Head Royal Hotel” spanning St John’s Street is a distinctive landmark in the town and I couldn’t help but think that some lorries wouldn’t be able to pass down this street because of it. 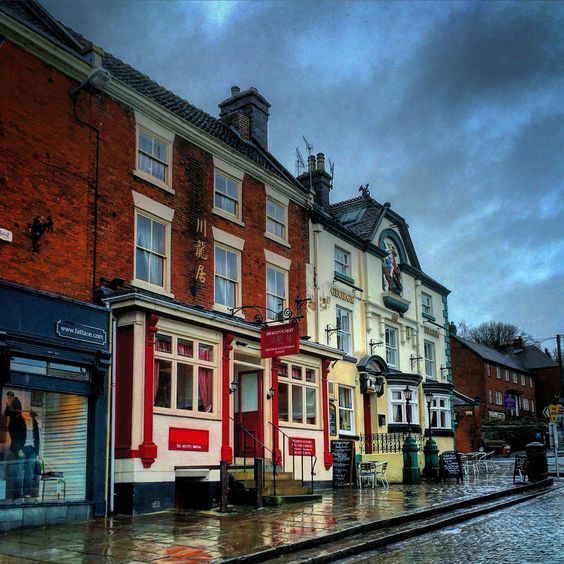 In the cities and suburbs, pubs are closing at a rapid rate, but here I was surprised to see so many - apparently 1 in 4 of the buildings in this town had been a pub. Many looked like they had been here hundreds of years and it’s a shame I was driving as it would have been nice to sample a pint or two here. We were here obviously for the charity shops. One was particularly overpriced, but the others were fine. In Oxfam I overheard a conversation where the volunteer was telling customers that the rain was keeping people away from Ashbourne, but come on a sunny day and the place would be teeming with folk. Neil managed to pick up some CDs and vinyl and that always bodes well for a repeat visit. Bizarrely there were two religious speakers near the market proclaiming their stories of redemption to all who would listen. This was really rather strange and unexpected. You sort of expect this on a busy city centre street in Manchester, but not in a sleepy market town in Derbyshire. I can’t quite understand why I’d never really heard about this place before my detours as I know Derbyshire fairly well. Maybe it doesn’t have obvious lures like Bakewell (the Tart) and Buxton and Matlock (the Spas), but I’m so glad to finally stop off in here and explore the place with Neil. It’s an unassuming, but charming place to visit and it definitely makes its way on the ‘revisit and stay overnight’ list.